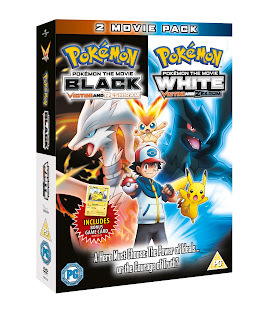 A couple of weeks ago we were sent a copy of Pokémon the Movie: Black to review. Mister A couldn't wait to get it in the DVD player and he's been forever asking for it since. To be honest it was a welcome break from Ben 10 so that in itself gets it a good review from me! As you know Mister A is 5 years old and this went down really well - he is a massive Ben 10 fan and rarely takes a break to watch/play/do anything else. Luckily he gave the Pokemon Black Movie a go and he is now a big fan. "Pokemon Black is so cool, it's my new favourite. It's really, really good. My favourite bits are when Victini gives Ash power to jump and when Damon uses Victini's power." "Ooooh, d'you know what mummy? I also liked it when the pillars of protection went around Ash Victini and Picachu. Put that on your blog!" So I have! I think it's a big thumbs up here! 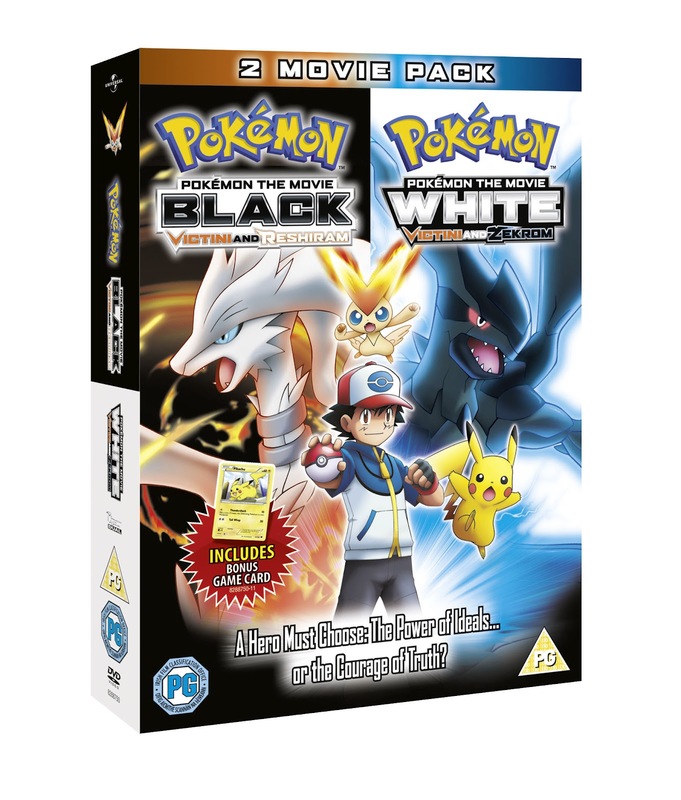 Ash, Pikachu and friends embark on a new adventure in the feature length films, Pokémon The Movie: Black—Victini and Reshiram and Pokémon The Movie: White—Victini and Zekrom -launching at retail stores nationwide on 9th April 2012 as a special double pack DVD. When Ash and his friends enter a battle competition in Eindoak Town, they meet the Mythical Pokémon Victini, who becomes their newest friend. Disaster strikes when the misguided wanderer Damon seizes Victini for his own plans! Can Ash prove himself a hero and earn the help of the Legendary Reshiram—or Zekrom—to rescue Victini and save Eindoak Town? To celebrate the Easter holidays I have got a fab Universal Easter DVD Collection up for grabs featuring four titles full of fun and laughter – showing off the best in CBeebies classics and CGI animation. Rastamouse: Hot, Hot, Hot! Irie man! All aboard the story train for this fun-packed DVD featuring episodes from Series 2 of the hit show for pre-schoolers. Join Driver Dan and his friends in their story-play filled adventures and meet Bippity the Robot, who loves inventing things for his friends and always tries to re-cycle and re-use things to create new gadgets and objects. Driver Dan's Story Train is the perfect opportunity to join your little one as they watch and play along! Join Rosie, Raggles and all of their friends in their colourful and adventurous world. Embark on a journey of fun and discovery whilst learning important values and life lessons along the way. With over 2 hours of fun, the DVD features 13 episodes from the show packed with fun adventures. Join Mowgli and his friends Bagheera, Baloo and Kaa the Python for their wonderful adventures in the jungle! Each episode promises drama, excitement, adventure, fun and emotion with these beautifully new animated stories which are sure to delight new audiences to the classic tales.